What is the CKD Change Package? 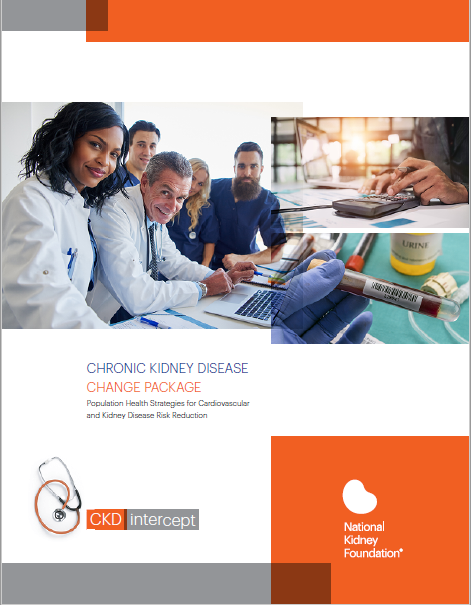 What are strategies for implementing a CKD Population Health Model? 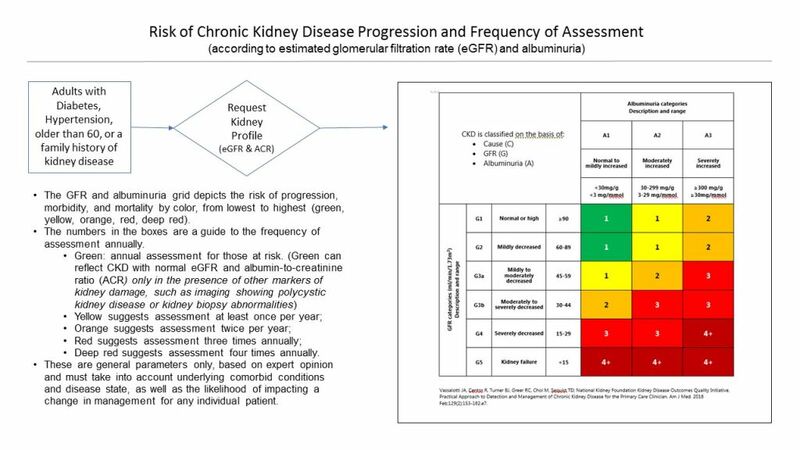 Management of chronic kidney disease includes reducing the patient’s risk of CKD progression and risk of associated complications such as cardiovascular disease, acute kidney injury (AKI), CKD anemia, CKD metabolic acidosis, as well as CKD mineral and bone disorder. 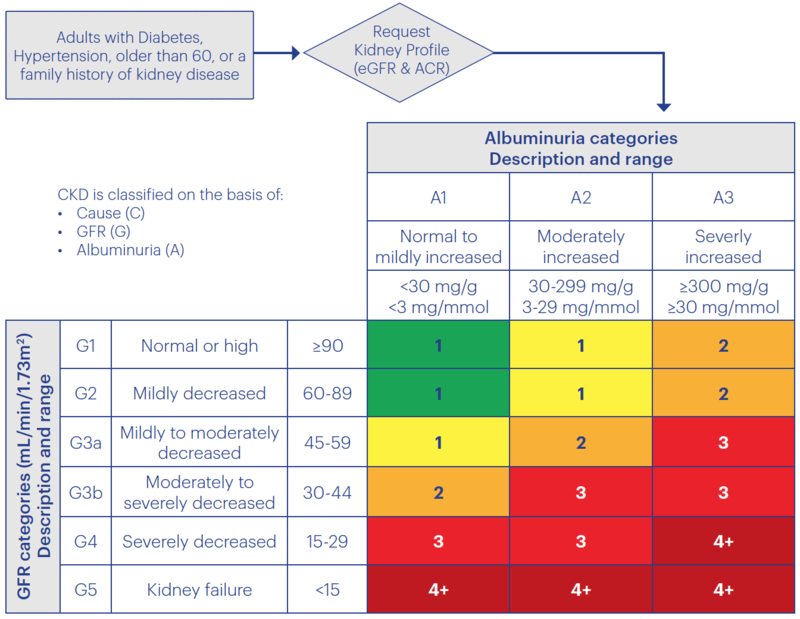 The contents of this document represent a list of suggested process improvements that ambulatory care can utilize to improve chronic kidney disease (CKD) screening, recognition and management. This also includes discussion of these change concepts and change ideas taken directly from interviews with teams that have integrated CKD care into ambulatory care settings. Interviews were conducted in January/February 2018 with clinical teams that have implemented CKD processes of care in ambulatory care. Most of the language included in this document arises directly from statements shared during the interview process. It reflects an aggregate of the comments from the teams interviewed.